Tahir Elci Human Rights Foundation established by the family members of Tahir Elci, a prominent Kurdish lawyer and human rights activist who was shot dead during a press conference in Turkey’s southeast, aims to bring people from different segments of society together, Gazete Duvar reported on Saturday. The foundation was established by Turkan Elci and Nazenin Elci, wife and daughter of the slain Kurdish lawyer, in Diyarbakir’s Sur district with the aim of unifying the oppressed, whether they are Kurdish, Turkish, Alevis or Sunnis. Muhammed Neset Girasun, Cihan Ulsen, Mursel Ekici, Orhan Kemal Cengiz, Mahsum Bati, and Erkan Senses serve as members of the foundation’s administration board, which is chaired by Turkan Elci. On Saturday, Turkan Elci talked about the family’s decision to establish the Tahir Elci Human Rights Foundation during the opening ceremony. “Despite everything that happened, we still tried to remain courageous. While we mourn over this pain [of losing Tahir Elci], as a family, we took establishing a foundation as a goal in order not to allow our pain to transform into grudge and hatred, but to turn it into an environment where people from all segments of society feel unified and embraced,” she said. Tahir, a chairman of the Diyarbakir Bar Association, was shot dead in Sur district of Diyarbakir, south-eastern Turkey in November 2015, while calling for an end to violence between the Turkish government and the outlawed Kurdistan Workers’ Party (PKK), urging both parties to keep clashes away from civilian areas. 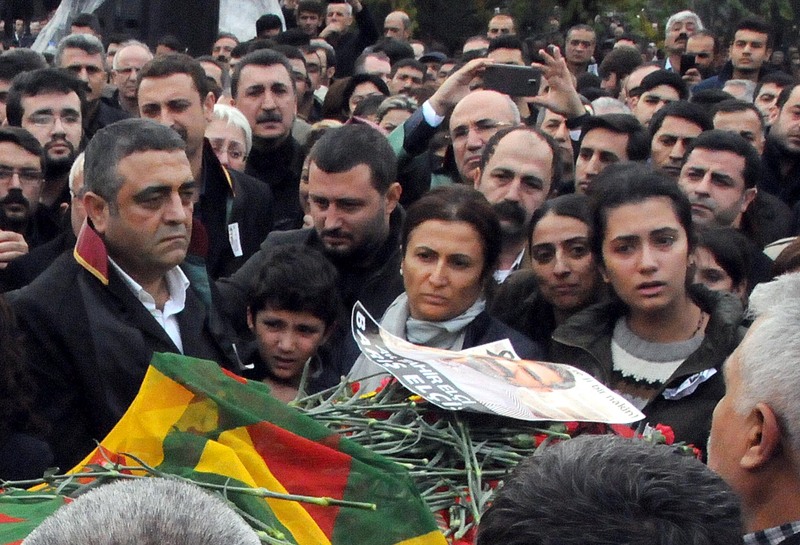 The Turkish state accused the PKK and its affiliates of his death. Diyarbakir Bar had demanded to carry out a technical investigation from London-based international investigation company, Forensic Architecture, in order to cast light upon the moment when Elci was shot dead and to find the suspects. It was said in the Forensic Architecture’s report, which was made public in a press speech of Diyarbakir Bar Association, that Elci might have been shot and killed by a bullet from one of the three police officers at the crime scene. The report did not rule out the possibility of Elci dying of crossfire between the police and the PKK.